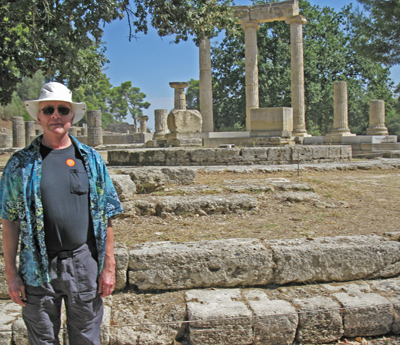 Seeing the ruins of Rome and Greece during our cruise this year set fire to my imagination. What if those crumbled structures are more than just interesting relics of great civilizations? What if they hold secrets of our ancient heritage? And more specifically, what if the gods… dei… titans… that were sculpted into the marble pillars and magnificent statues were more than just myth? Hm-m-m, that could be the most important question of this epoch, which began way back in Babylon some 5,000 years ago… and that’s what I’d like to talk about today. The gods that preceded even the first epoch, which centered around Atlantis (…most of the surviving remnants of which probably wound up in Sumer). Were the gods mere legend, as nearly everyone today believes? Or were they, as I’m certain, real superhuman beings who once walked the Earth, set the course for our destiny, and cross-bred with the beasts of Terra in order to create a series of semi-gods, lesser gods, and gifted apes… like the person we see in the mirror today with a noble, godly side inspired by love and good will, and also with a savage side that helps us survive the predatory forces of a ruthless world? Of gods and men . 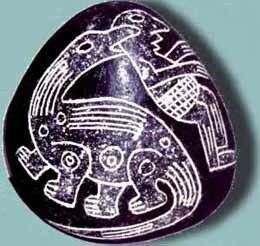 . .
A 60-million-year-old "Ica stone" showing a dinosaur eating what may be one of the ancient gods. Most of the solid evidence of our ancestral gods is long buried in the sands of time, and all that’s left today are scant traces in such forms as statues, ancient etchings, clay tablets, and scrolls. If you’re familiar with my work, then you know I claim to have reliable sources that pierce through the sands of time and bring forward into our world a few small but history-changing pieces of the human puzzle. (click here for an overview of my writing and ITC research) In a nutshell, I was part of an international panel of scientists and researchers who were reporting insightful communications with angels, or ethereal beings, directly through our technical equipment (phones, TVs, radios, computers, and other devices). The Seven ethereals gave our group several mind-boggling reports, through a computer of our Luxembourg members. (click here to find those reports). I’ve talked a lot about that in my book, The Project, and I’m sure I’ll talk a lot more about it on this blog in the coming months… so today let’s look at how those truths of our past got buried over the centuries. The biggest collection of knowledge since Atlantis, and before modern times, was in the Great Library at Alexandria (click here for more), which contained some 750,000 scrolls from all around the world. Some of those ancient truths, inherited from Atlantis, might have been among those scrolls, but we’ll never know; they mysteriously disappeared. Three different, mutually exclusive tragedies are often blamed for the destruction of the priceless archives in the Great Library. One explanation is that radical Muslims, some 1,400 years ago (640 AD), destroyed the scrolls because they would contradict the Islamic holy book, the Quran. People who don’t like Islam generally like that explanation, although it’s generally discounted as impossible. The scrolls had been long gone from Alexandria by that time. The most compelling (but misleading) hypothesis is found in the beautiful movie Agora (click here for a preview…), which shows Christian mobs ravaging the Library some 1,600 years ago (391 AD) and destroying the scrolls… at a time when Alexandria had been subjugated by the Roman Empire. People who don’t like Christianity (including Carl Sagan in his book Cosmos) tend to like that explanation. I call it the most “compelling” evidence only because of the drama and unrequited romance woven into the movie’s plot… which, again, serious historians find mostly groundless. Few scrolls, if any, were still in Alexandria by the time Christians had taken over the Roman Empire. The third explanation, and most likely of the three, is that the scrolls were destroyed when the tragedy-prone Roman leader Julius Caesar visited Alexandria some 2,100 years ago (48 BC). According to this account, Caesar was chasing his archrival Pompey, the Egyptian fleet got in his way, he launched flaming ships out into the harbor to burn the Egyptian ships, and the fire got out of control, burning much of Alexandria, including the Great Library. While this story has more evidence to back it up than do the Christian and Muslim explanations, it’s not the complete story. 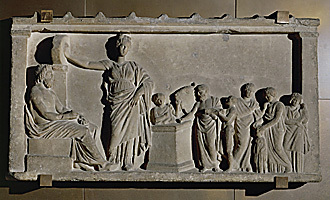 Cleopatra is said to have given Caesar tens of thousands of scrolls, which he shipped back to Rome. Another great Roman, Marc Antony, then, is said to have given Cleopatra some 200,000 scrolls. Given human nature, I wouldn’t be surprised to learn that many scrolls were sold by Egyptian officials for personal gain in the centuries before Christ… and patrons ‘borrowed’ scrolls from the second, public library, smuggling them out in their togas…. It’s likely that many scrolls just dribbled out of the library and got spread around in various ways. In any case, the Great Library at Alexandria at one point had 700,000 scrolls… and then it had none. In fact, the library itself probably didn’t exist 20 years after Caesar’s visit. The important point is that literacy was spreading by this time. Public libraries would soon become sources of wisdom and knowledge accessible to anyone… and as such it was an important turning point for humanity in this second epoch. The story of the Great Library at Alexandria, while fascinating in its own right, is even more important in showing how our savage side likes to view history to suit our own personal prejudices, politics, and dogmas. History has always been bent by the prejudices of historians, despite the noble efforts of some — the best of the lot — to remain as objective and clear as possible. 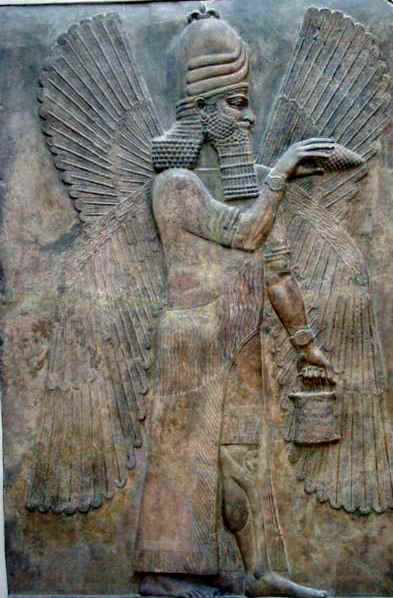 Continuing our journey into the past, Assyria had a library of thousands of clay tablets around 700 BC, early Egypt had papyrus scrolls around 1300 BC, and some 30,000 clay tablets were found in Ssumerian/Babylonian ruins dating back to around 3000 BC. 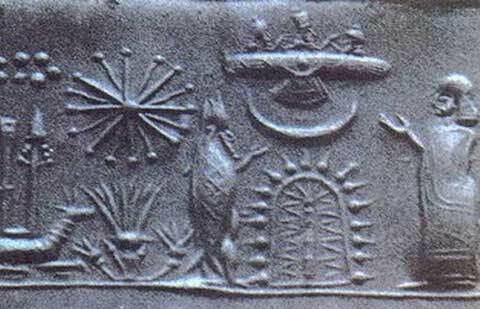 Some of those earliest tablets included pictures of what are probably the ancient gods. Jumping ahead to modern times, we all have the great good fortune to be alive in the Internet Age! Knowledge is spreading like Caesar’s fire around the world. It’ll be most interesting to see how it all unfolds in the coming decades! More in my next entry…. 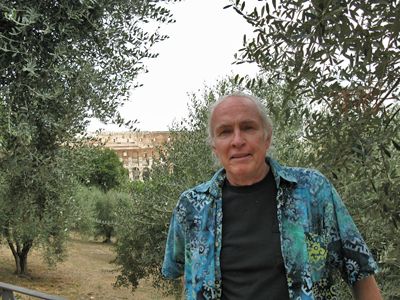 This entry was posted in About Mark Macy, ITC, Our ancient heritage, Our paradise destiny, Spiritual realms. Bookmark the permalink. Thank you Mark, a really nice article. I have wondered about Alexandria’s library for some years. I believe you will be proven correct. Have you ever studied the writings of Ruth Montgomery, the famous journalist who channeled from her Guides by automatic writing (she had to use a typewriter as she could not keep up)? Thank you for bringing the wide world to me. I believe I read a book about Ruth Montgomery many years ago. I’m delighted you like the article.